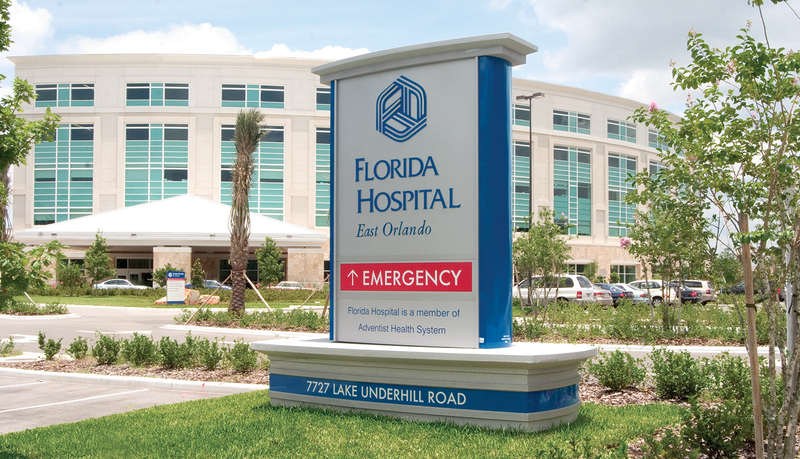 Florida Hospital East of Orlando is part of the Adventist Health System and features spacious patient care areas and warm, private rooms with more than 200 beds. 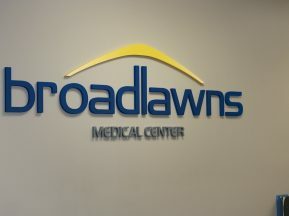 As patients and families enter the hospital, they find themselves on a “Healing Boulevard” featuring easily accessible inpatient and outpatient services. 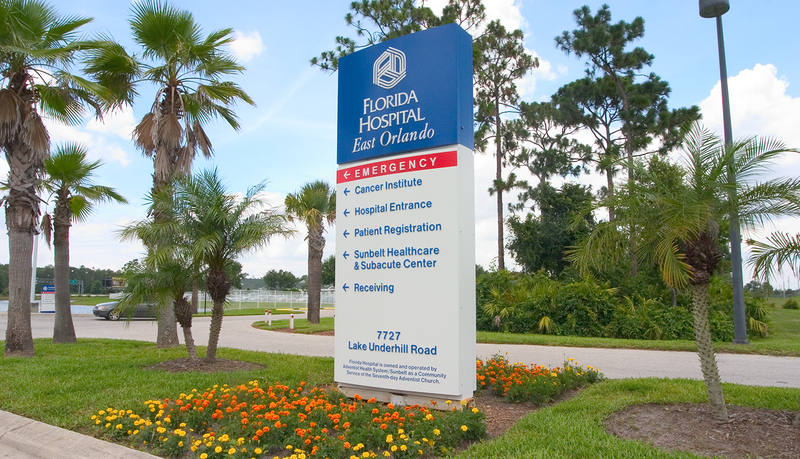 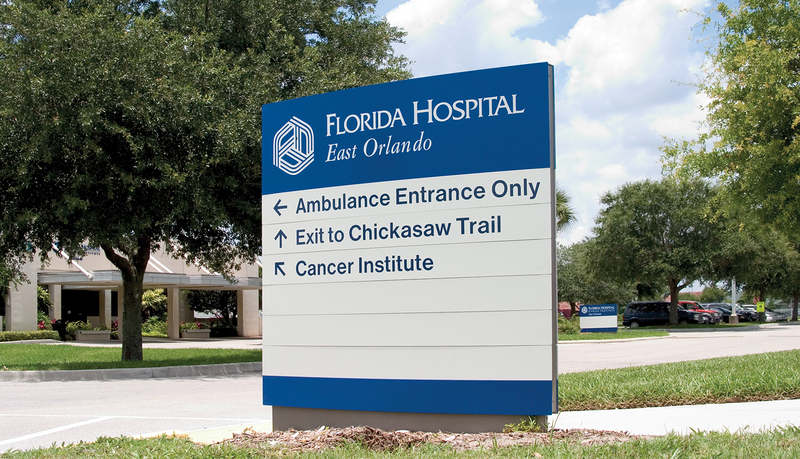 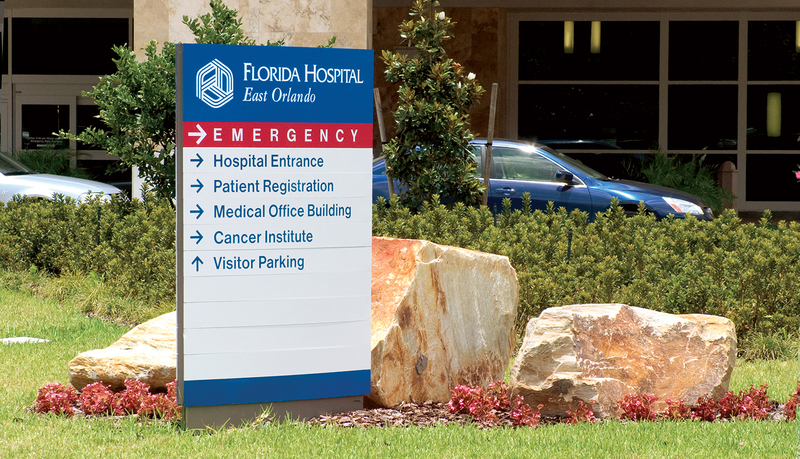 Florida Hospital East needed a signage solutions provider to partner with them to assess the hospital’s needs and create a complementary interior solution for the new patient tower as well as the exterior of the hospital campus. 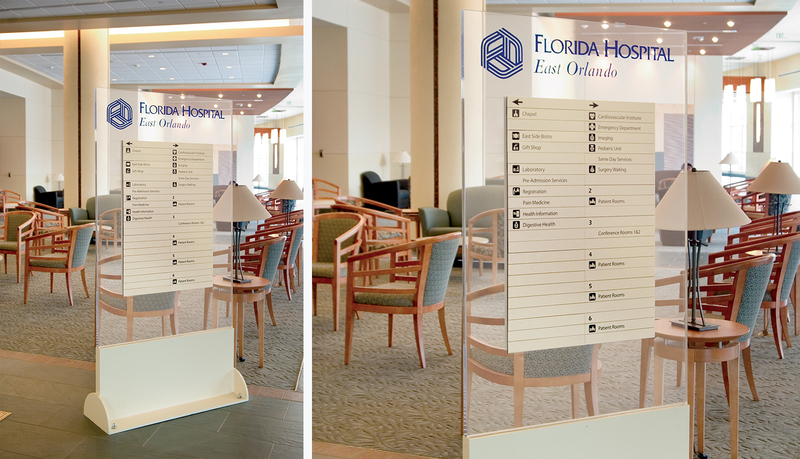 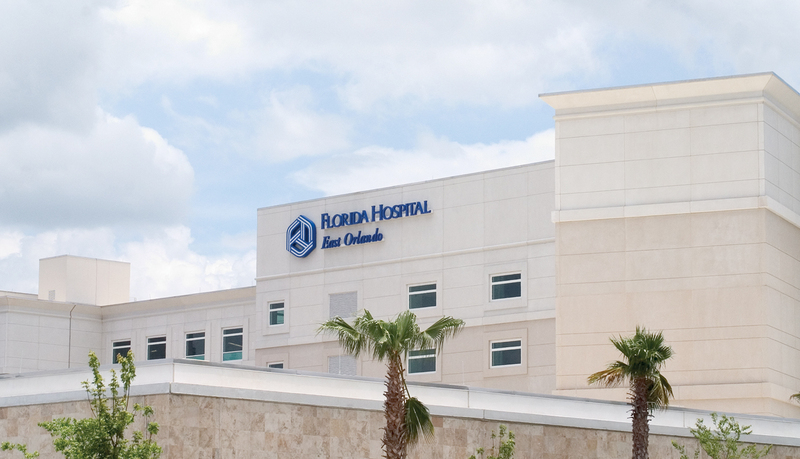 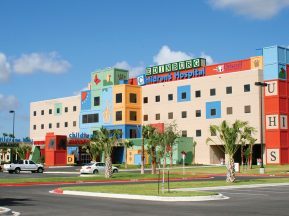 The solution had to integrate into the Florida East’s healing environment and direct patients, visitors and staff efficiently to their desired destination. 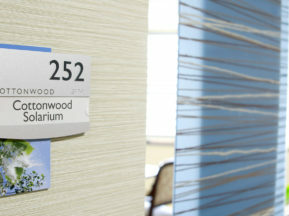 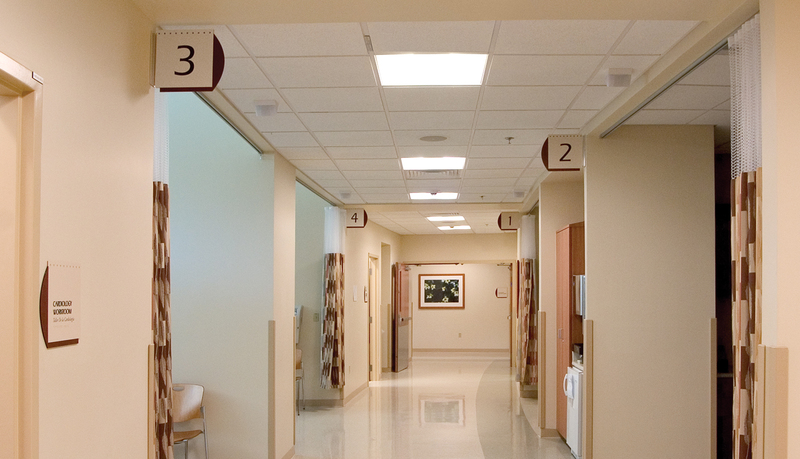 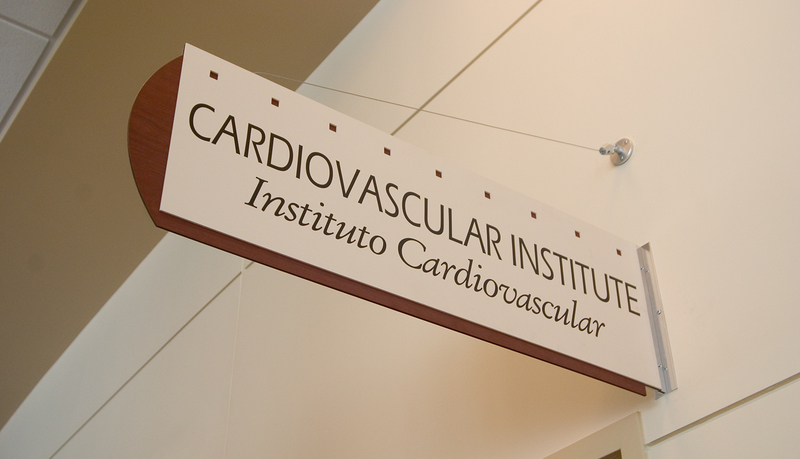 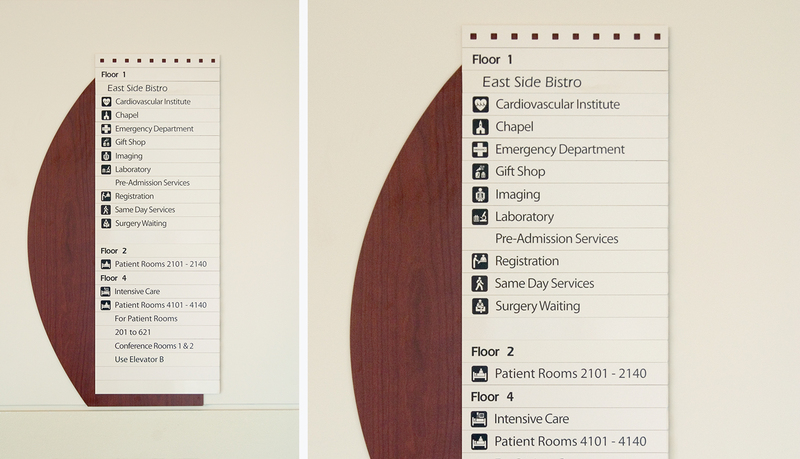 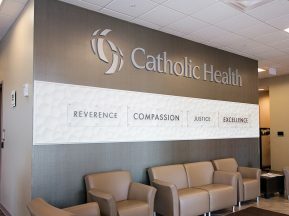 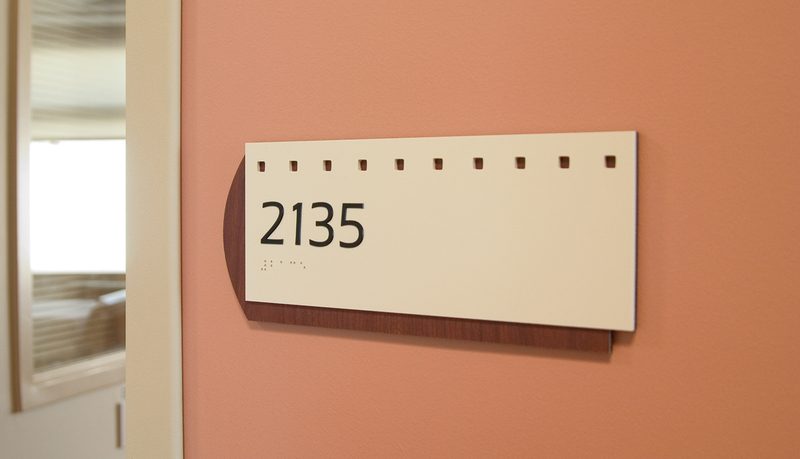 ASI utilized it’s design-build studio team to analyze the needs of the hospital and create and elegant signage solution with wood veneers and warm, cream tones. 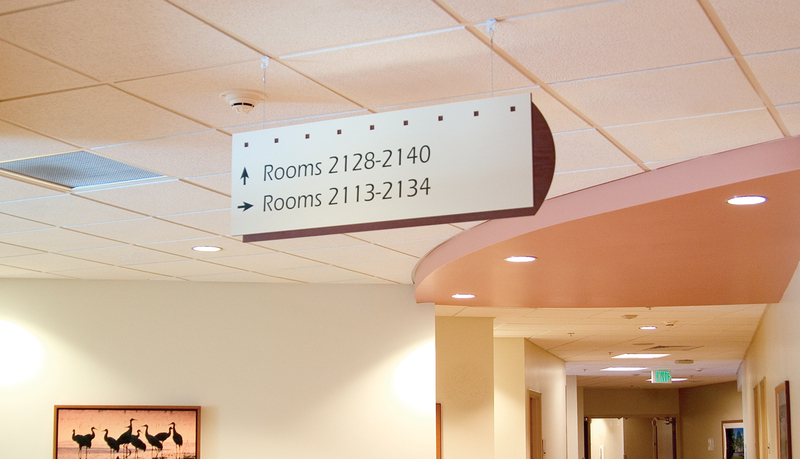 While the interior system is custom designed and fabricated, the foundation for the solution is based on ASI’s Infinity modular signage system. 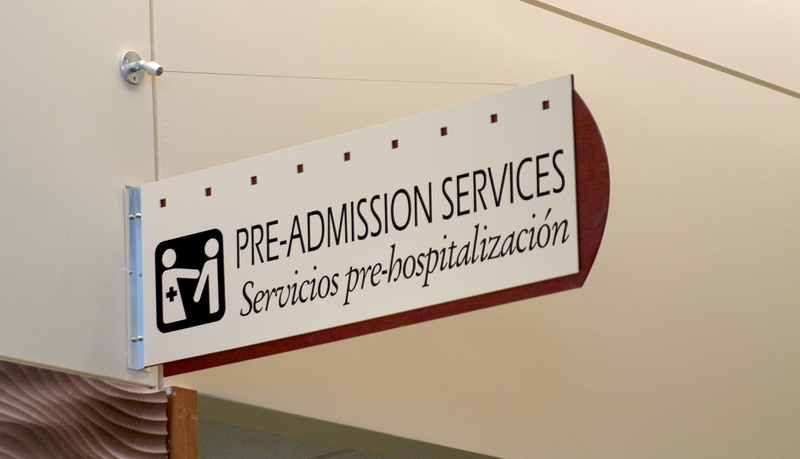 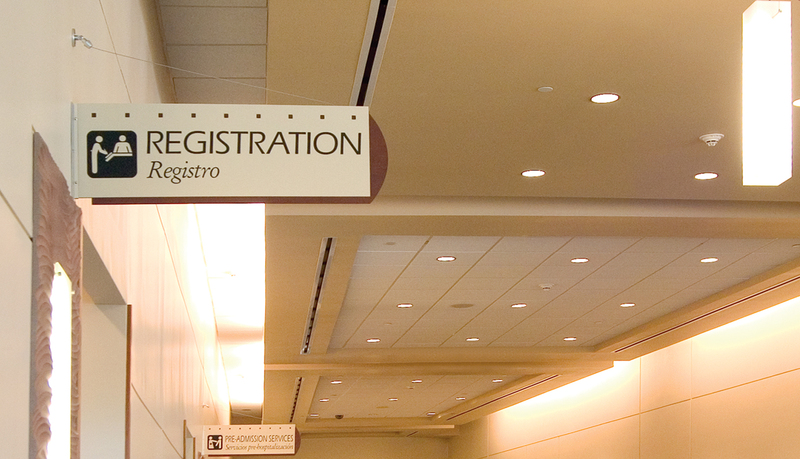 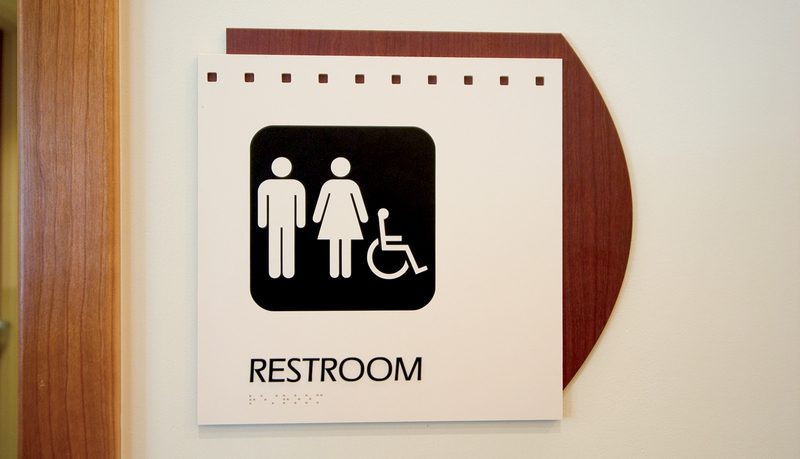 The ADA portion of the interior signage features messages in English and Spanish., Additionally, traditional Infinity signage was used for the main entrance directory. 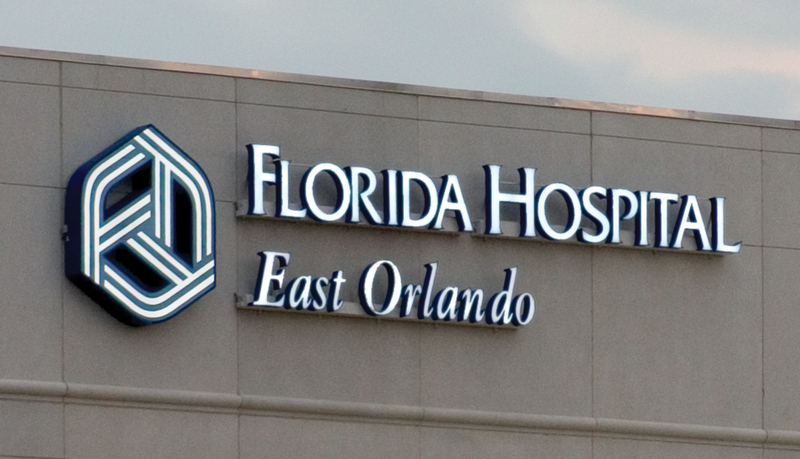 The exterior signage solution uses Pacific Exterior as well as a custom designed and custom fabricated interior illuminated monument sign that greets visitors and staff entering the campus. 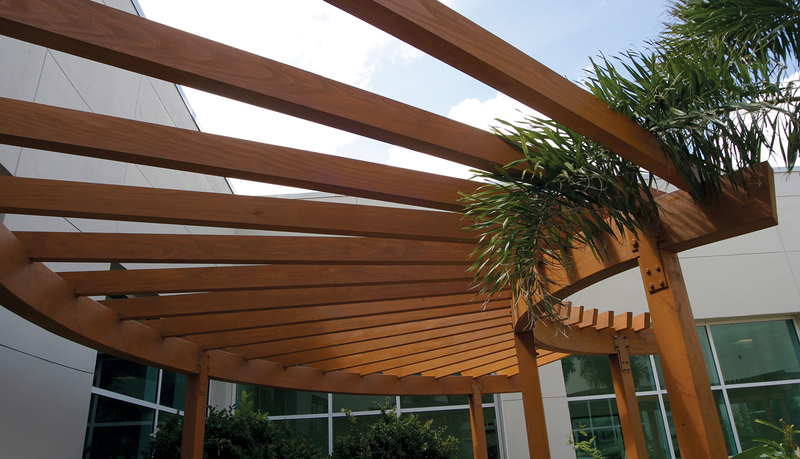 The complete solution was delivered on time and on budget, and the ASI team successfully managed every aspect of the solution: from conception to design to installation. 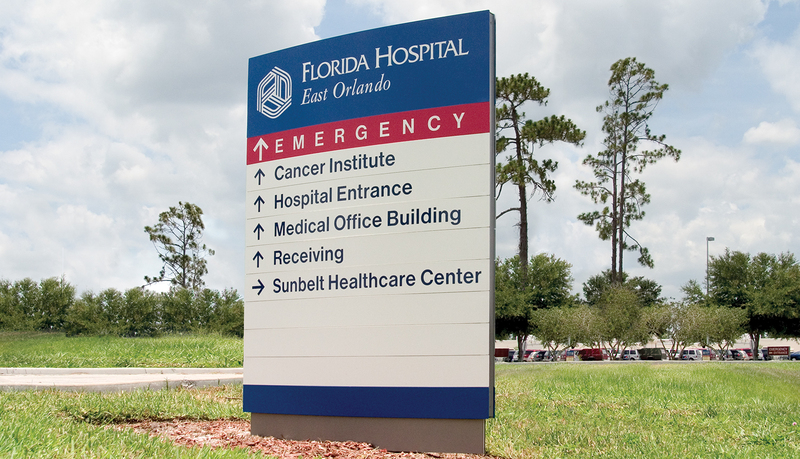 Due to the success of the Florida East project, ASI has been invited to provide turn-key solutions for other Adventist Health System hospitals throughout Florida.